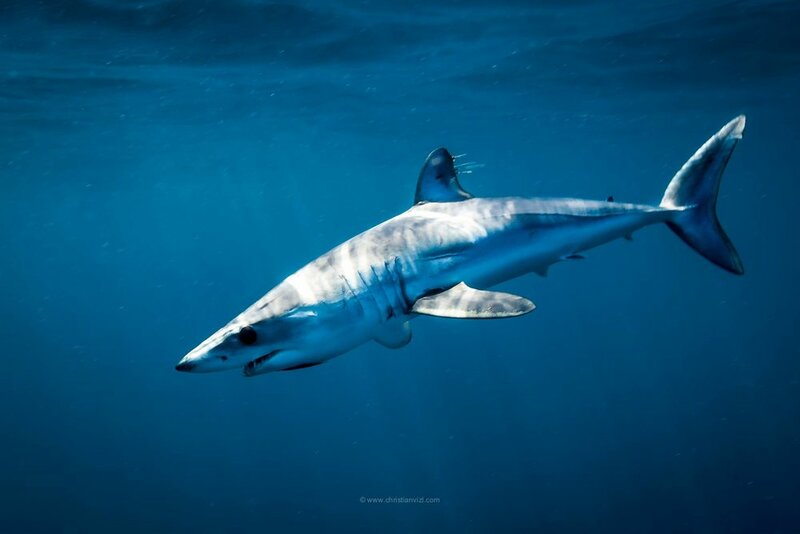 The Southern Baja Peninsula is becoming a top destination to encounter mako and blue sharks.This pelagic shark species are known to travel long distances. With the colder water currents during winter and early spring, they chase their prey such as tuna in the Pacific waters off Cabo. The Baja Peninsula is known for its abundance of marine life.